Some companies still think that handing out free merchandise is enough to boost brand awareness and get new customers interested in their product. Nowadays, it takes so much more to gain attention for your brand and make everyone sit up and take notice at a trade show, expo, music festival, conference or other type of corporate event. We specialize in designing and installing events and we’ve seen firsthand just how much impact a well-designed booth or exhibit can increase engagement, both at the event itself and on social media. Stuck on how to up the ante when creating your next booth? Here are some of the ways cutting-edge brands are designing installations that make waves and leave a lasting impression with attendees, which you’ll be sure to draw inspiration from. With so many booths to peruse at trade shows, some attendees might suffer from sensory overload, where what they see all blends together in one technicolor blur. One way to combat this is by going big and bold with your design installation. Not only does this make one take pause when passing by, it also displays your brand’s message or product in an unexpected and inventive manner. One of the most memorable brand installations in recent memory was when Nike created a giant replica of its Running Man logo out of tennis balls. Not only did this sculpture use a Nike product in an unconventional way, it also captured the spirit of the brand. Speaking of big and bold, we designed and mounted a 30-foot-by-20-foot three-dimensional photo of famed skier Bode Miller to a temporary wall at acclaimed sushi restaurant Matsuhisa in Vail in 2015. The restaurant served as Audi’s corporate headquarters during the 2015 Audi FIS Alpine World Ski Championships. The map of the famed skier, made from 50 parallelograms, was the backdrop to many a photo proudly displayed on social media during the nearly two week event. It’s just the type of “wow factor” that really gets people’s attention. In a sense, zoning in on one large art installation is a “less is more” approach to your booth design. This allows attendees to focus on just one element, as opposed to booths that feature the company logo ad nauseum. When designing your next booth, you might want to think about taking a cue from Nike or other creative eye-popping art installations, like when Nintendo used Post-It note art to promote the launch of vintage games on the Wii Virtual Console. Ask yourself: Is there a way we can use one of our products to build the installation itself? What other unusual sculpture materials could we use to catch people’s attention? Some companies don’t realize just how valuable the space that extends beyond your booth is. Adding seating or another appealing feature in front of your exhibit creates a welcoming atmosphere and encourages people to actually ‘experience’ your product for themselves. For instance, instead of just handing out lotion samples, Nivea once created its own ‘Goodbye Cellulite’ sofa, with a bumpy ‘cellulite’ side and a soft, smooth side for people to sit in. Bringing elements of the outdoors inside can be another effective way to entice guests to stop and stay awhile. 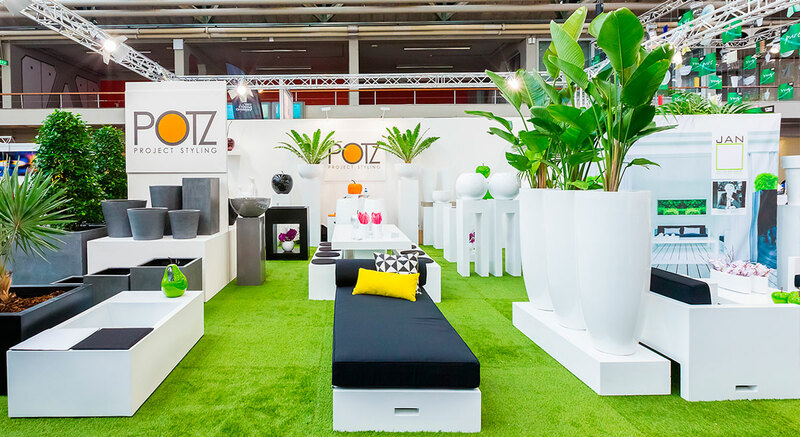 Even if you’re at an indoor trade show, adding picnic tables, artificial grass or camping-inspired elements can transport attendees outside and make for a memorable exhibit. Despite the fact that most people now have their own smartphones, attendees still like to be awed by new digital technologies and test out the latest gadgets. Some of the best digital-focused brand activations incorporate new digital technologies with social media. Recently, NBC’s “The Today Show” rolled out an interactive Green Room complete with a futuristic-looking Facebook Live booth, a mini version of the “Today Show” set where guests can take selfies and post them on Instagram and a revamped digital studio with an ever-updating social media installation as its backdrop. If you want to add digital technology to your company’s station, interaction is key. When designing your next brand activation station, brainstorm ways you can have attendees use the technology itself instead of just marveling at it. At some venues, you might be limited in your production design with the space you’re allotted. However, this doesn’t mean you have to stick to the traditional exhibit set-up. Many companies have ditched the booth entirely and opted for a design that better exemplifies their brand. In 2015 at Wimbledon, Pimm’s built a larger-than-life teapot to pour its samples from. Other brands swap out the standard booth for vintage-style campers, brightly-colored buses and come up with other non-traditional designs for their designated spot. Some companies even use their station as an escape from the event itself, like when Zappos once built a yurt-inspired retreat where attendees could practice yoga, sip green juices and recharge their phones. While most people won’t turn down free stuff, this might not be the best way to create loyal customers and build a larger audience for your brand. Some companies are going in the opposite direction: creating exclusive merchandise that attendees can’t get elsewhere. At last year’s Pitchfork Music Festival, British clothing company Topman made screen-printed T-shirts and tote bags on site for festival goers to take home. Other brands, like Dark Horse Wine, offered temporary tattoos with the winery’s logo, which promoted the brand in a funky, atypical fashion. Offering a personalized piece of merchandise to attendees can make them feel a special connection to your brand and help you develop a relationship with your customer base. As an event and production design company, Pink Monkey Solutions caters to brands looking to create innovative installations that increase engagement. 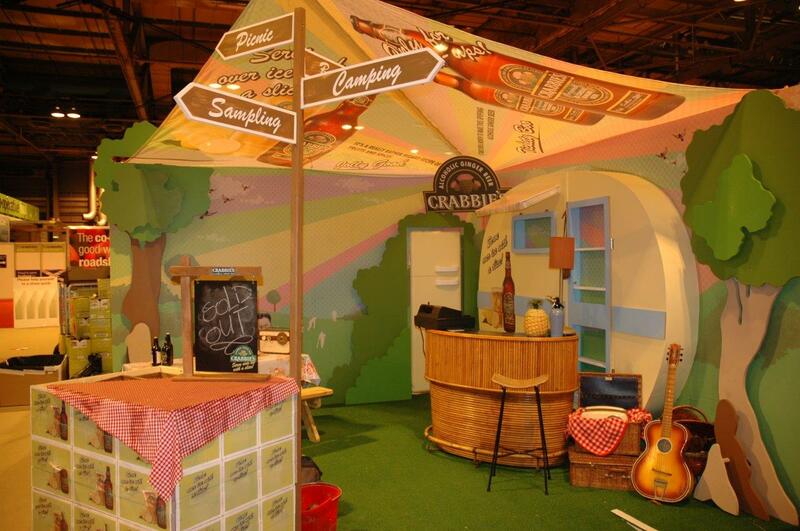 For more ideas on how to build a brand activation booth that wows the crowd, give us a call or email us.